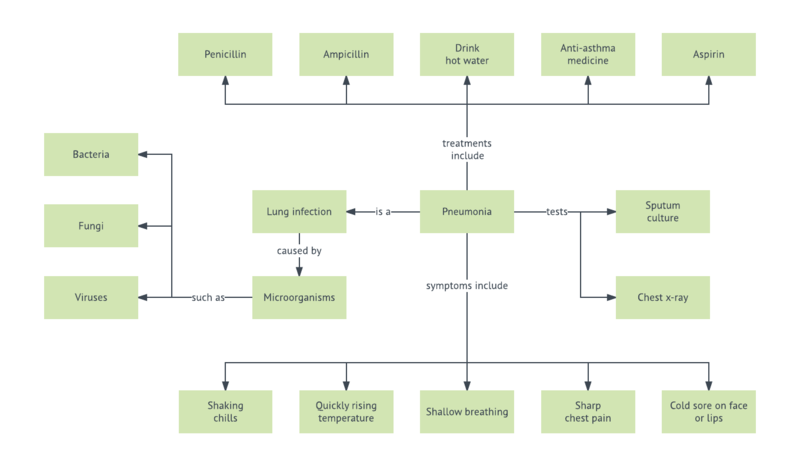 This pneumonia concept map gives a visual overview of the topics related to pneumonia, including what it is, the symptoms it causes, and how it can be treated. The simple visual layout makes the information easier to understand and remember. To take full advantage of this pneumonia concept map template, sign up for a free Lucidchart account, then edit or download it anywhere, anytime.